3CLab “Cross Cultural Competence Learning & Education”organizza Study Tour: un punto d’incontro tra tradizione e innovazione per la crescita del nostro territorio. Organizzato dal Dipartimento di Scienze Aziendali Management & Innovation System (DISA-MIS) dell’Università degli Studi di Salerno e dall’Aix-Marseille School of Management. Un’opportunità importante per apprendere e sperimentare gli aspetti gestionali e culturali legati all’imprenditorialità, attraverso una settimana di incontri, talk, workshop e seminari. The Study Tour Italy is a unique learning experience aimed at providing participants with a “touch & feel” experience as well as an exposure to the complexities of the interplay between family and business. It is an intense week of course time, firm visits and Flash Consulting projects, a series of specific recommendations provided by the Study Tour participants to the partner companies during the firm visits. 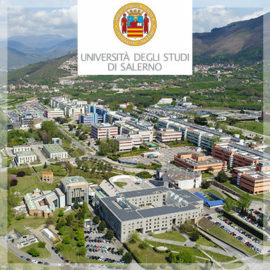 The Internal Services are provided to University of Salerno, both to its students (italian and foreign) and its office. The main research areas are related to the cultural perspective applied to management. Of particular interest are the interconnections between these specific topics and other seemingly distant research areas.